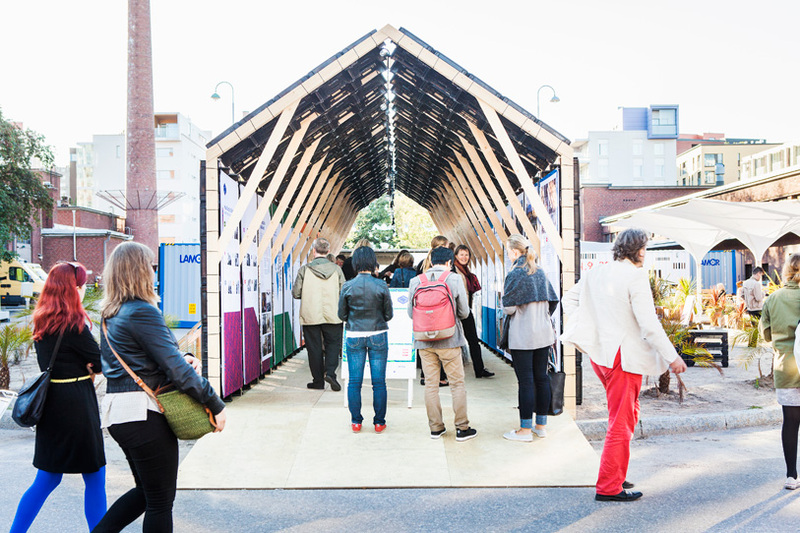 The South of North Traveling exhibition premiered in Helsinki as a part of the Helsinki Design Week, 5-14 September 2014. 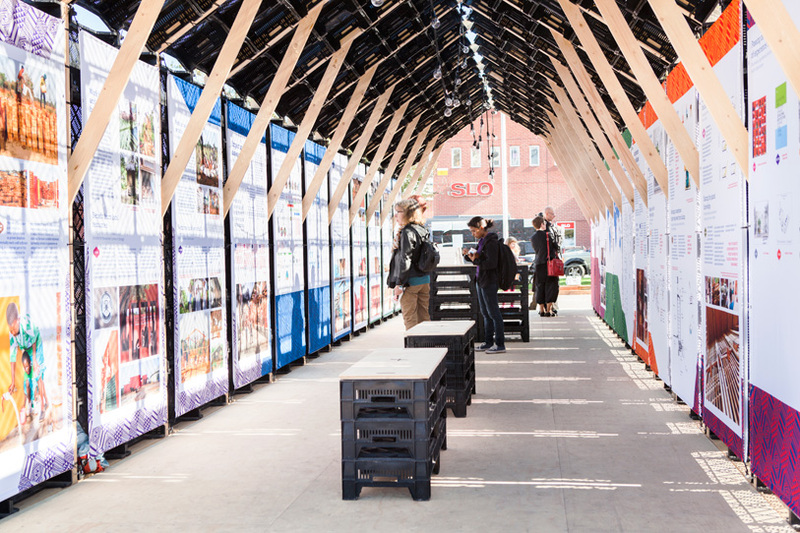 The exhibition gives a Nordic perspective to a globally growing phenomenon: emerging architectural practices committing to global issues related to ecological and social sustainability. 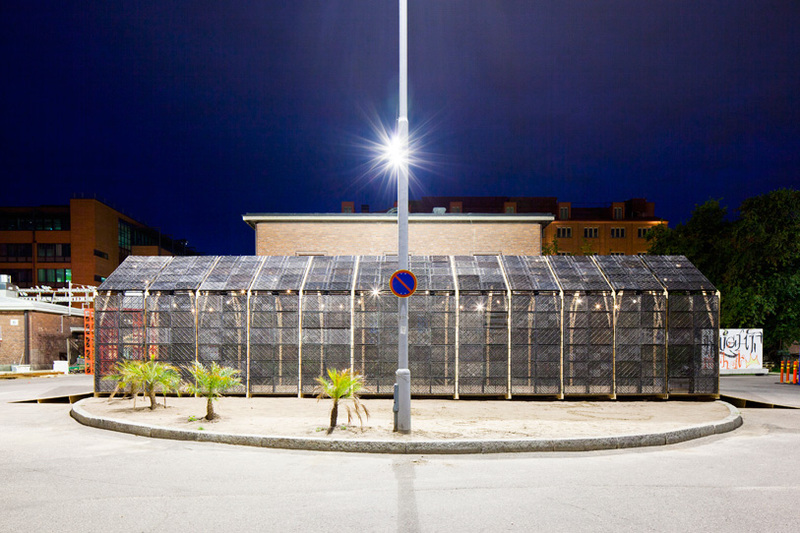 The exhibition pavilion is constructed entirely of recycled materials, reflecting the design principles of the South of North network. 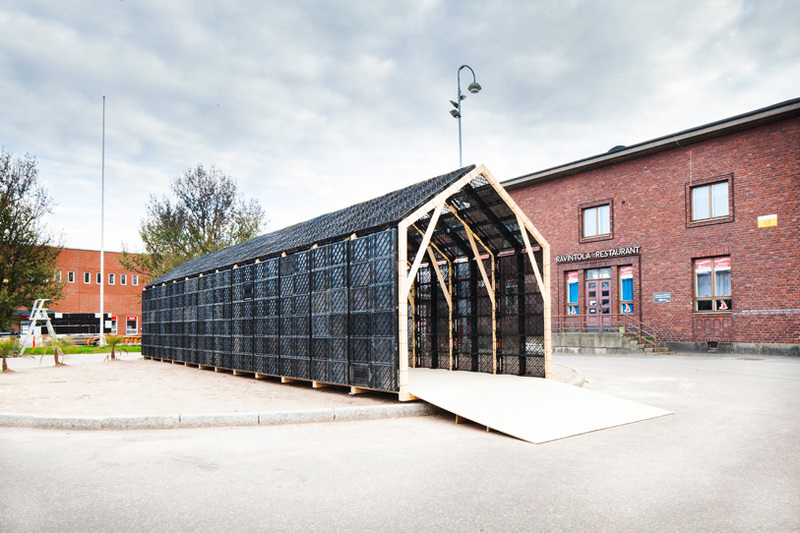 The walls and the roof are constructed of a wooden frame and recycled plastic potato boxes which will be returned to their original use after the exhibition. 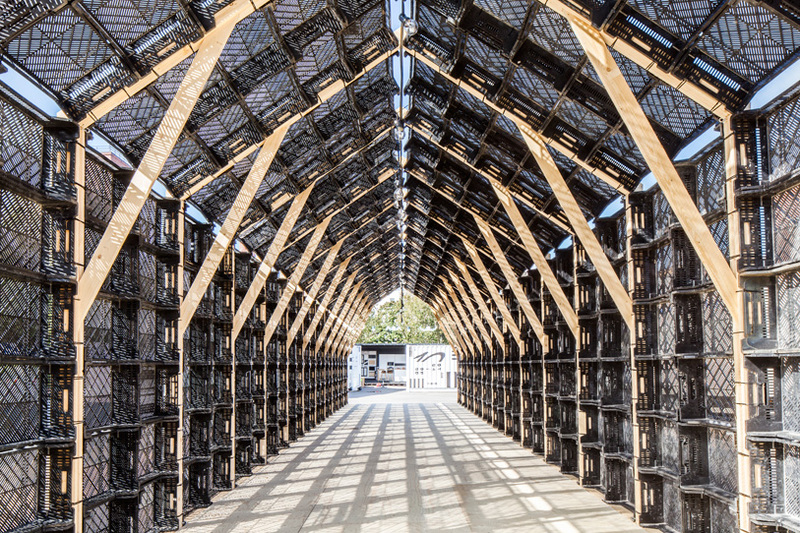 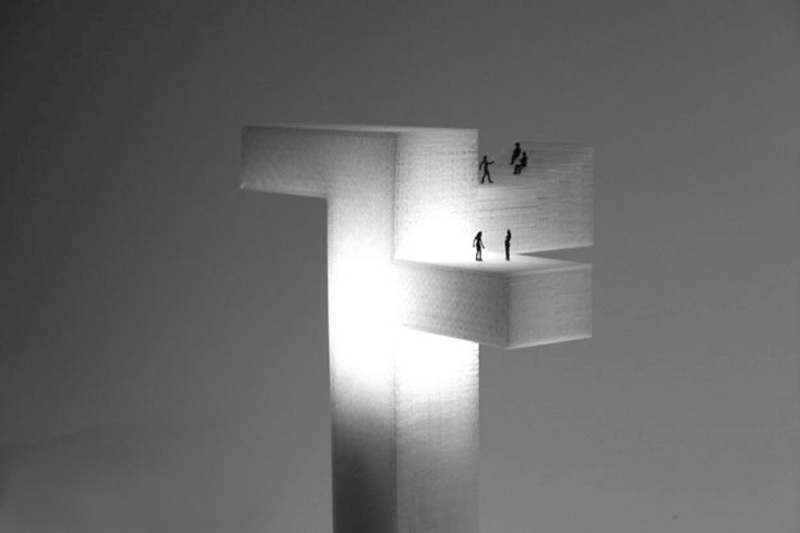 The material itself, that seldom is perceived to have architectural or esthetical value, suddenly comes to life through an architectural illusion of visual repetition and the ever changing play of light and shadow.